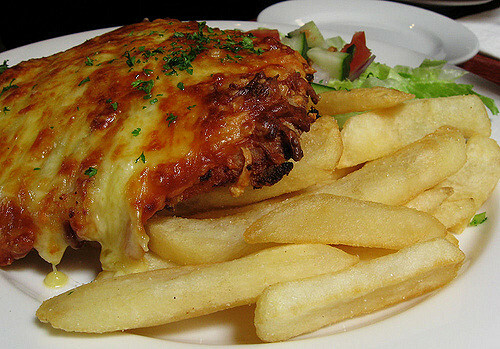 Whether you call it a parma or a parmi, Chicken Parmigiana is now an Aussie pub staple. 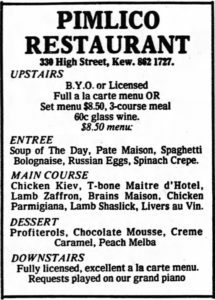 It’s impossible to say exactly when it arrived in Australia, but it was featuring on the menu of the Pimlico restaurant in Kew by 1980. Whether it was accompanied by the traditional chips and salad is not known. Chicken Parmigiana sounds Italian, as it draws its name from Parmesan cheese – called Parmigiano in Italian. 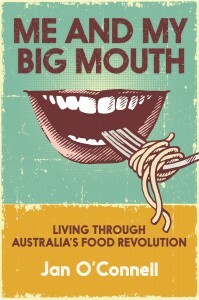 But that bible of Italian food, The Silver Spoon, has just one recipe using the term parmigiana and it’s for eggplant. The dish is a little like the Greek moussaka, but without the meat. Eggplant is fried, then layered into a casserole dish with tomato sauce and cheese, then baked in the oven. 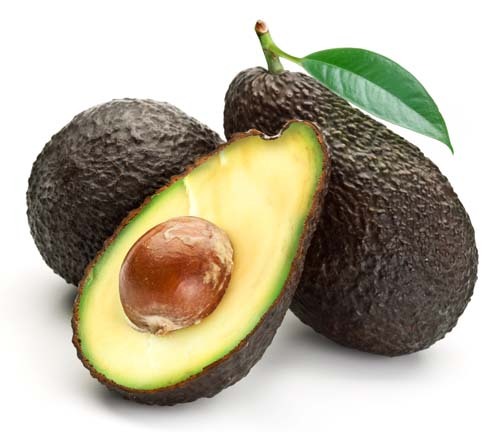 Food historians have traced the original recipe back to 1837, when it appeared in Ippolito Cavalcanti’s Cucina teorico-pratica published in Naples. 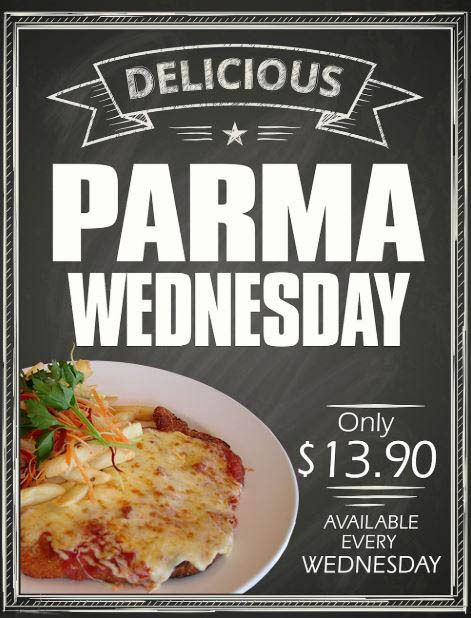 It seems that Parma we know came to us via America. And the first transition it made wasn’t to chicken but to veal. As early as 1906, The Buffalo Commercial was suggesting to its readers that cotolette alla parmigiana was “a most enticing variation from the ordinary breaded cutlet”. The dish they described as one “any Italian cook will serve you” had parmesan cheese mixed in with the breadcrumbs and was topped with tomato sauce. 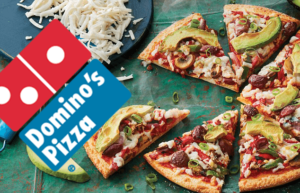 It lacked the grilled, cheesy topping we now expect. Recipes for and references to Veal Parmigiana, with a tomato sauce and cheese topping, continue to crop up in American papers through the decades, but the earliest mention of Chicken Parmigiana is in the mid-1940s. It seems the custom in America was (and is still) to accompany the dish with spaghetti. 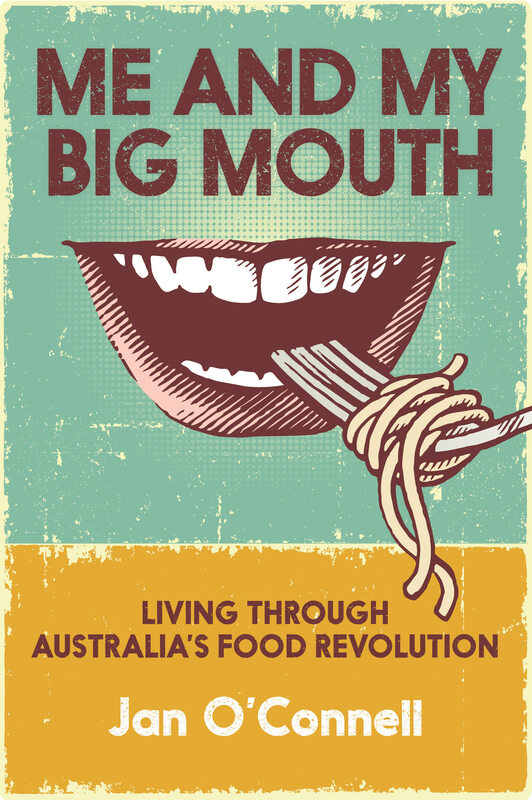 Indeed one of the earliest mentions of Veal Parmigiana in Australia, in 1945, was as a restaurant dish accompanied by spaghetti and green salad. The term ‘parmigiana’ has been widely used over the years to apply to dishes that have no resemblance at all to the familiar pub classic. 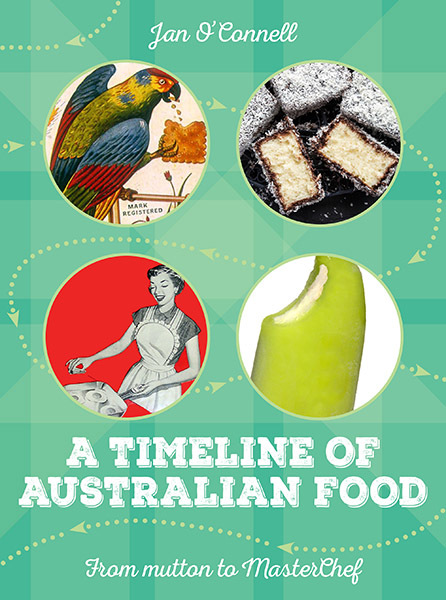 The Australian Women’s Weekly has featured recipes for Celery Parmigiana, Trippa (Tripe) alla Parmigiana, Ham Steak Parmigiana (a particularly low spot in the 1970s) and even a Chicken Parmigiana that featured boiled chicken with rice, fried raisins and almonds (a prize-winning recipe from 1933). Along with Costoletta Milanese and Saltimbocca, Veal Parmigiana became a one of the standard veal dishes in our Italian restaurants in the 1970s. As that decade began, most pubs were still serving up lamb’s fry and bacon, crumbed brains and roast-of-the-day as their standard counter lunches. Things began to change, with new dishes appearing on the menu (remember ham steak and pineapple). 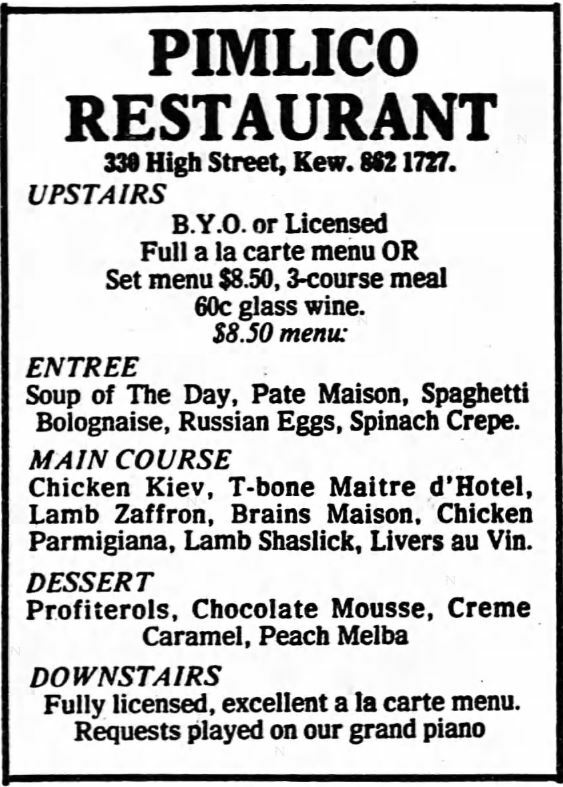 It’s not entirely clear whether the first Chicken Parmigiana appeared in a restaurant (was it at the Pimlico?) or when the first one popped up on a pub menu. We’re guessing in the 1980s. But it’s pretty certain that it was never served alongside spaghetti. Chips and salad (or in the rare, aberrant cases mashed potato and veggies) have always been the standard Australian accompaniments. 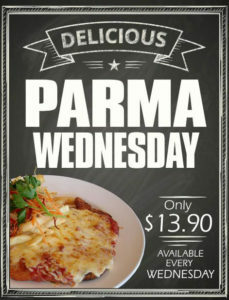 “Parma and pot” nights are common, where the meal comes at a reduced price that includes a beer.